But she insistently said that there was no confusion…someone had actually paid for our dinner anonymously. She knew who it was, but promised to the table that paid that she wouldn’t tell us who it was. Looking around in astonishment, there was no one that we knew. No friends or family being cute. Just a gracious act of pure kindness from complete strangers. Jess and I think that it may have something to do with the fact that I was recently cut from my job at Cornerstone because of budget cuts (see A New Day post). We saw a van outside with a Cornerstone sticker on it. But who really knows. God is simply continuing to expose us to His faithfulness and providence. Even in the midst of hard seasons and huge transition, He is steadfast in His love for us and His promise of a future for us. Even in small things like a free dinner. That’s just how He rolls. 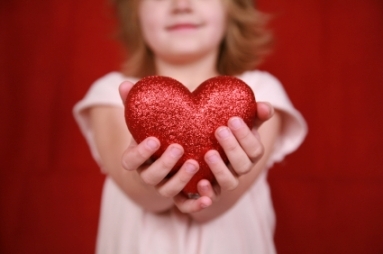 Have you ever been given something that meant a lot to you by an anonymous giver? Did you find a way to extend that same grace to someone else in need? dude…love that…doesn't matter who it was or when it happens. nothing but good comes from stories like this and now it's your turn and mine! new blog is cool too! Someone gave this tape to me at a party in a bowling alley in ‘96 or ‘97. It sonuedd very different from what I was hearing at raves at the time like an ancient alien artifact. I knew that I was listening to the heartbeat of a secret breakbeat civilization that lay buried beneath my world of candyravers and progressive house.I played it over and over until I lent it out and it never came back, and I spent the next 14 years searching for it. Thank you immensely for finding and posting this.I think Side X was subtitled Memories at the Wall and Side E was So Happy I Could Cry . Congrats Heaney! What an awesome prize. Helen…I too have been crazy busy with “life”. I love your hotesny and your sincerity in your blog. I haven’t visited a blog in a few months and yours was the first I came too. Sometimes we just need to take some time to breathe. Your doing such a wonderful thing for your kids and your whole family. Keep the faith and hang in there!